Recently I've been thinking about the price hikes that appear to go hand in hand with releasing a limited edition or celebrity collaboration product and I'm wondering how people feel about paying more for certain products? The first thing that got me thinking about this was MAC's price increases when they release a range that features special limited edition packaging. I love MAC's standard packaging as I feel it has a high-end, sleek appearance to it, but I have mixed feelings about their limited edition packaging. Some recent limited edition releases I've really not been a fan of, the Cinderella collection for example, and some I've adored, such as the Aquatic collection and the Wash and dry collection. As I haven't really tried many of MAC's other products I tend to be drawn to their lipsticks and I've noticed that limited edition packaging often means a price increase of around £1.50/£2. Now this isn't too bad, it does pain me to part with £17ish for a lipstick that would usually be £15.50, but at least I know I should be getting a bloody good lipstick with very pretty packaging that I won't be able to get in the future. But what about much higher price hikes? What really triggered this post was the recent Olivia Palermo x Ciaté and Victoria Beckham x Nails Inc collections (using an x is obviously the way to go when collaborating with a celeb!). Starting with Ciaté, I do really like their nail varnishes and I don't think £9 is too bad, although I do like to pick them up cheaper if I can. However, if you want a nail varnish from their Olivia Palermo collection then you'll need to pay £17, a whole £8 more. Admittedly you do get a slightly different bottle design that looks a little more high end and I believe they do also individually come in boxes, but that is still quite a price hike. As you're probably aware Nails Inc have recently launched new bottles, and although I much prefer the new bottles to the old ones, this has meant that we've seen a price increase. A Nails Inc nail varnish used to cost around £11 if I remember correctly, but now you're looking at paying £15 for a standard shade and a couple of pound more for a special effect or similar. As with the Olivia Palermo nail varnishes, if you buy a Victoria Beckham nail varnish I believe it does come in it's own (rather over-sized) box and possibly even with a bag as well, but you'll need to pay a whole £10 more for one nail varnish! You'd only need to pay another £11 to get a Christian Louboutin nail varnish complete with don't-get-it-too-near-your-eye-or-you'll-lose-it fancy bottle. If you did want to buy both Victoria Beckham x Nails Inc nail varnishes you do get a £5 discount, but that's still £45 for just two nail varnishes. 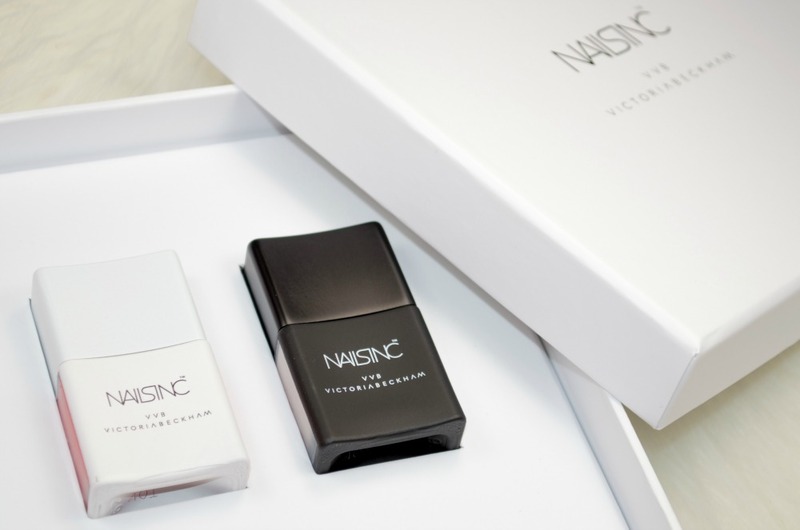 I am a fan of Nails Inc, although I don't think I would pay full price for a standard bottle now, but there's no way I would pay £25 for a Victoria Beckham nail varnish, especially when I'm not particularly keen on either colour. 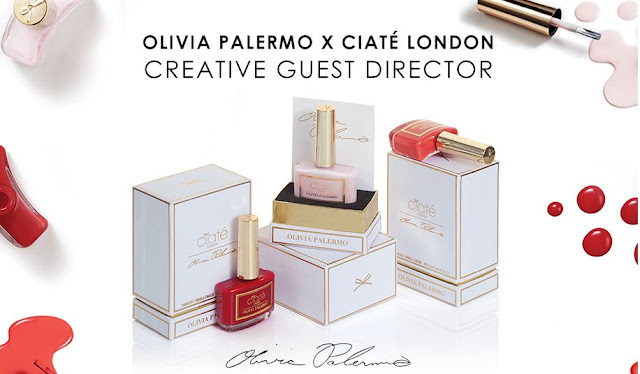 I haven't read any reviews on the Victoria Beckham nail varnishes recently but I have read some on the Olivia Palermo ones and they did say that they were worth the higher price, so I guess it depends on whether or not you're willing to pay the price. So what are your thought's on price hikes for limited edition or celeb collaboration products? If you liked the product(s) would you pay whatever amount extra you need to to get your hands on it or do you have a limit? Great article! I'm a cheapskate so prefer shopping around for the same colours by a cheaper brand, however if a lipstick for £2 more was the perfect shade I wouldn't mind paying the extra. Doubling the price, however, is a little bonkers. Thanks for sending your link over, love your blog header logo - so cute. I'm not sure how I feel about the price hikes, I mean if it's a good product then maybe I'll look to buy it but the price of the Nails Inc Victoria Beckham collab was just silly. I do like a good pale pink shade but I got the Rita Ora x Rimmel one in the end which was only £3 and it's great. The trouble with MAC limited edition ranges is how quickly they sell out, but I don't mind if it's just £1-£2 more.